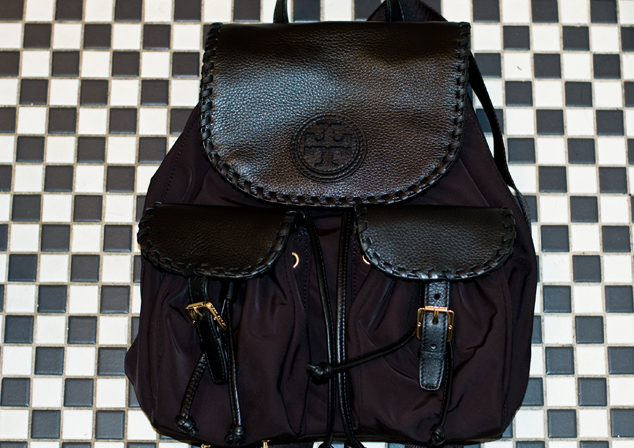 If you follow me on Instagram you may remember I was deciding between purchasing one of two Tory Burch backpacks. After much discussion amongst almost everyone I know, I went forward and bought the Marion backpack for my upcoming trip to Florida! Looking at photographs I am somewhat traumatized by my lack of style during last year's Disney World trip, so I decided to kick it up a notch for 2014. The BF And I leave for vacation Wednesday evening and I thought this backpack would be the perfect travel companion - it even smells good. While the backpack isn't full leather, I know the nylon material will be incredibly durable for long hours in the Disney World parks. There's something so fun about purchasing items for an upcoming trip - it makes the vacation even more exciting because you get to wear your new things. My cousin has a countdown to Disney and we're officially only one week away - I can't wait!